For reliable Mazda service in San Diego, turn to the team at John’s Automotive Care. Our auto mechanics will take excellent care of your car, and the rest of our team will take excellent care of you. 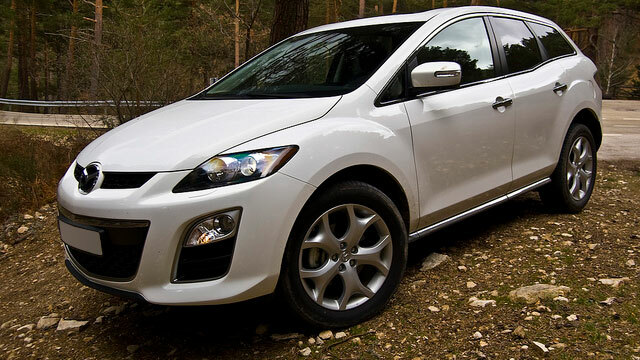 Since 1998, we have provided San Diego drivers with effective and efficient Mazda service. We recognize just how busy your day can get. We try our best to ease your worries. If you have somewhere to be in San Diego, our shuttle can take you there. If you need to get some work done, take advantage of our free WiFi and comfortable waiting room. We also offer rental cars at discounted rates. After our auto mechanics have serviced your Mazda, we will walk you to your vehicle and follow-up with you within a few days. “The associates at John's were super nice. I called the store a few hours before I went in for a smog and talked to a man named Chris answered and helped me out with all my questions. He said they usually don't do walk ins, but were nice enough to let me come in without an appointment. I went in the same day and Chris was there to help me out with my transaction and getting my smog done. I only waited about 20 minutes, and that was because there was another car getting their smog done. The staff was nice and even offered me fruit, water, and candy. I look forward to coming here again instead of the smog place that's near my house.” -- Natasha U.
Mazda owners, like you, know they can rely on receive stellar auto repair and customer service at John’s Automotive Care. Our highly-qualified and trained auto mechanics are leaders in the automotive industry. Our team consistently earns fantastic reviews and testimonials from satisfied clients and takes great pride that clients choose us as their leading auto repair service center. We hope that you choose us as your premier car repair service center, too. To schedule an appointment for your Mazda auto repair service, call us at (619) 304-0815. Visit John’s Automotive Care at 6267 Riverdale Street, San Diego, CA 92120.